A stunning website is easily one of the most effective ways to improve your conversion rates, especially if marketed successfully. However, a poor design will only result in lost customers and an unflattering reputation. Here are five ways you can enhance your website. Did you know that more than 50% of web searches are made on a mobile device? Unfortunately, you could be ostracizing more than half of your visitors if you fail to offer a mobile-friendly website. Not only can it prevent people from investing in your products and services, but a mobile-unfriendly design can also affect a website’s place in the search engine results pages (SERPs). Google penalizes any website that fails to provide their visitors with a responsive design. 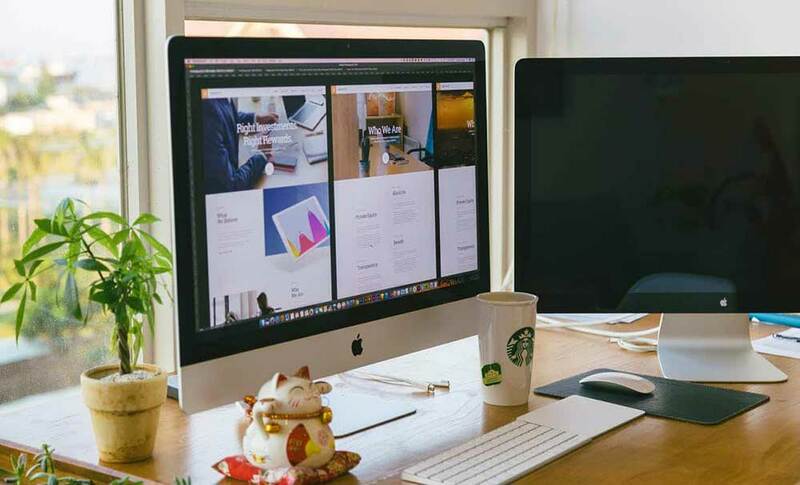 That’s why you should consider working with a web design Birmingham agency to develop a striking website that can adapt to any device. Customers don’t want to read the same content time and again, and neither does Google. If you want to appear to be a relevant brand, you will need to provide relevant, updated content to become a leader in your industry. Aim to add fresh, insightful and engaging content on a homepage and landing pages, which you should promote on your social media channels to drive additional web traffic. Online visitors aren’t looking for quirky navigation bars or unique layouts. They are seeking simplified tools that allow them to easily navigate from one page to the next. Consider the customer journey to identify the pages they will need, and develop a strategy to help them quickly reach them. Discover the clearest path to aid the user experience, which will keep them on a website much longer whilst increasing sales. It doesn’t matter how much time, effort and money has gone into creating a website if no-one can find it. Don’t underestimate the importance of SEO when developing a website. Optimize your site by using keywords in your fresh content, and aim to develop a strong link building campaign that builds trust in the search engine results pages. Google has more than 200 ranking factors that can determine your place in the search results. While the ranking factors have not been confirmed, it’s advisable you create a clear, user-friendly website that’s filled with fresh content to rank well in the SERPS. Don’t use twenty words when five are enough. Aim to offer clear, concise messaging on your website that aids the user experience. A visitor is coming to your website to solve a problem, and it is your responsibility to provide them with an answer in a quick and easy manner. For instance, do you provide free shipping? Do you have a special offer that sets you apart from your rivals? If so, include an effective call to action, such as “click here” or “shop now”, to turn a visitor into a customer.